This detail is about life size. Unfortunately the quality is not like looking at the actual art or a Glicée. 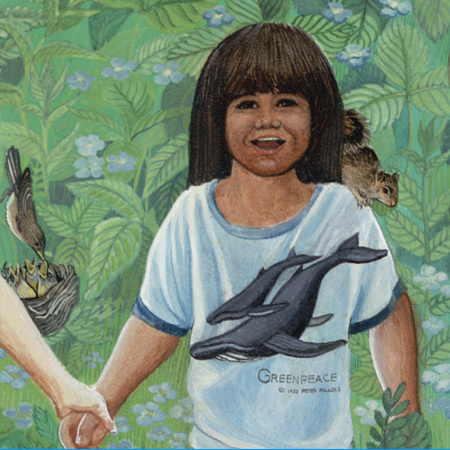 If you were you could actually read the name of the GreenPeace tee-shirt artist signed on the little boy's shirt.